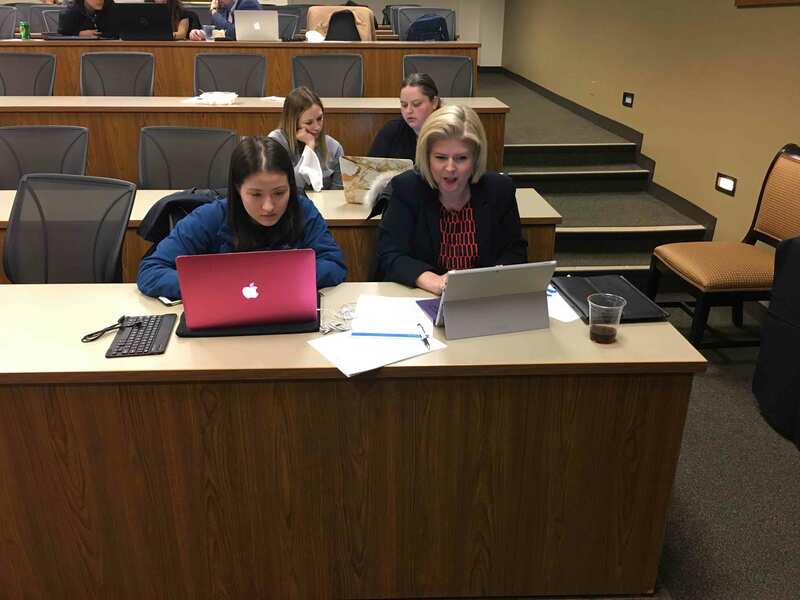 On March 2, the Pro Bono & Community Service Initiative hosted Legal Answers, a program of Illinois Legal Aid Online (ILAO). Six alumni attorneys and 13 law students participated. ILAO is an online resource for Illinois residents in need of legal information. The services range from general legal knowledge to guiding pro se litigants through complicated legal processes. The overarching purpose is to make legal information accessible to those seeking it. Legal Answers allows low income Illinois residents can ask specific legal questions. Volunteer attorneys can then answer questions that align with their areas of practice. The clinic began with a training on how to effectively answer online legal questions. Next, 1-2 students were paired with each licensed attorney. The teams addressed multiple legal questions in family and housing law. The attorney chose questions that they had experience in handling, and then informed students on what information was necessary to answer the question. Together, the team drafted a response which incorporated information and resources. At the beginning of the clinic, there were over 100 open questions online. In the scope of two hours, six teams answered over 25 unique questions. Pro bono work and community service are major pillars of DePaul’s social justice mindset. Moreover, hands-on service is an integral part of the public interest program. 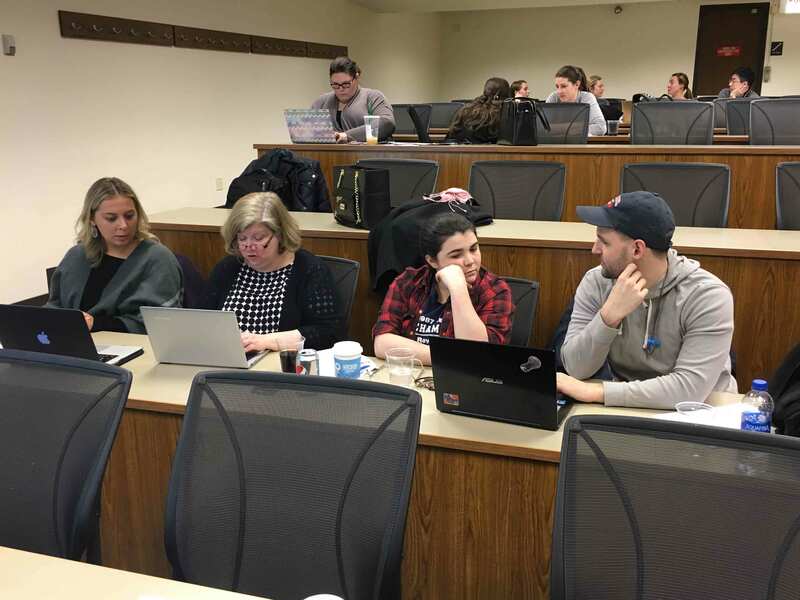 The Legal Answers Clinic provided an opportunity for alumni and current students to unite and serve the community on behalf of DePaul College of Law.